In my kitchen I use stock with almost everything. To curb frequent drives to the supermarket to buy more stock, I make my own. It is quick, convenient and saves me money. It’s all in the bones and the off cuts. It is the parts you were going to throw away anyway but still very full of flavour. 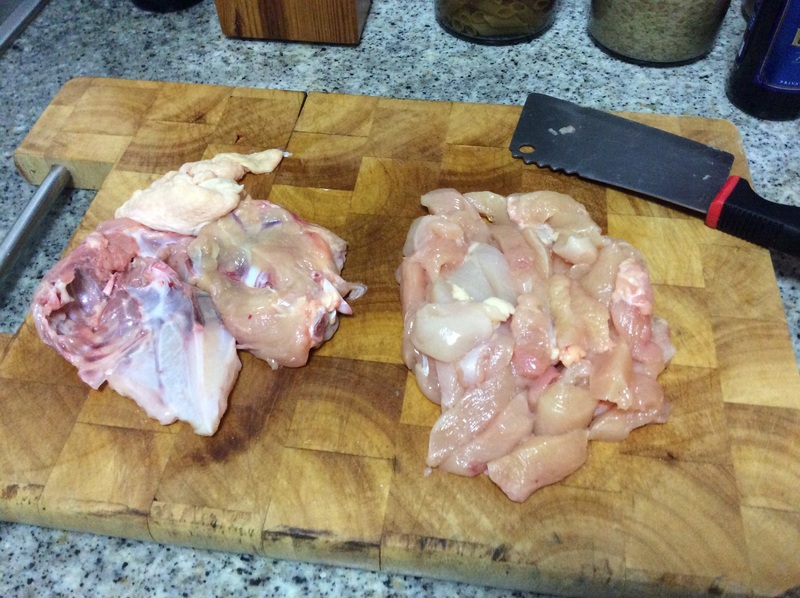 I don’t buy deboned chicken or deboned chicken pieces, I debone the chicken myself and use the bones and skin to make my stock. Deboned chicken is more expensive as well, so more saving :). 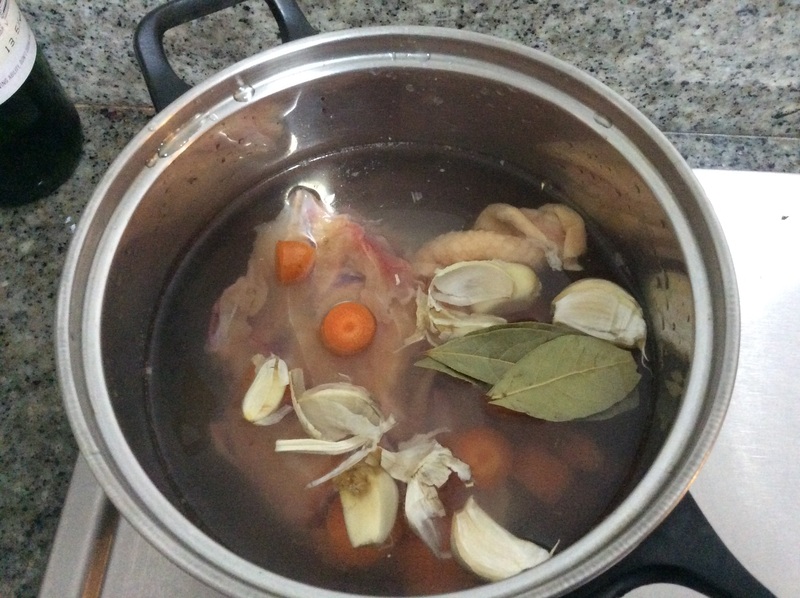 This is not only limited to chicken, you can make whichever stock you want; from fish using the head and tail to beef with bones and off cuts. It is quick and simple to make, with basic additional ingredients you already have in your pantry. The best part about making your own stock is; you can flavour it however you want. And if you have any medical conditions that require you to have a low salt intake such as hypertension( high blood pressure), homemade stock is best, just add less salt and up the flavours from your spices and veggies. You can even add medicinal spices such as turmeric, saffron, ginger. Bones, skin, any off cuts. Veggies – the basics are; onion, carrots, celery or leeks or both, cloves of garlic. But you can add more if you wish, such as spring onions. Spices- 2 bay leaves, 2 cinnamon sticks or 3 tsp of powdered cinnamon, 1 tbs of white pepper and generous amount of salt( remember we are making stock so it needs to be salty but still not too much). You are welcome to add herbs of your choice as well, I’m personally fond of thyme in my stocks. Proportion the ingredients according to how much stock you’re making. Obviously the more often you make stock, the better your stock will be. In a pot, put in all the ingredients, with all the veggies roughly chopped and a splash of olive oil. No need to even peel the veggies. Place on a hot stove, let it come to a boil then lower the heat to about 3 or 4( electric stove) and let it simmer for at least 30 min. Then off the stove. Let it cool down unless you want to use it immediately. When cooled, strain the stock and store in the fridge in a glass bottle, for future use. Note: when you use it out of the fridge it might be a little thick, don’t be alarmed it’s not off.